On 12 March 2015, Turkish Coast Guard vessels chased the cargo ship M/V Doğan Kartal in the Çanakkale Strait and forces the ship to stop by firing on her engine room. According to AIS data from marinetraffic.com website, the Turkish flagged 59 metre long ship has departed from Istanbul on 11 March 2015. It is not know to me where the hundreds of Syrian refugees have come on board. When the ship has passing through the Çanakkale Strait on 12 March, Turkish Coast Guard hailed the ship and wanted to perform on board inspection. According to news reports the captain of the ship refused the VBSS inspection and did not stopped the ship. This started a chase of the M/V Doğan Kartal by coast guard vessels in Çanakkale Strait. The Strait was closed for transit traffic during the chase. The stubborn ship was forced to stop when a coast guard vessel fired on her engine room which disabled the steering of the ship. It was not disclosed which boat fired with what kind of weapon. 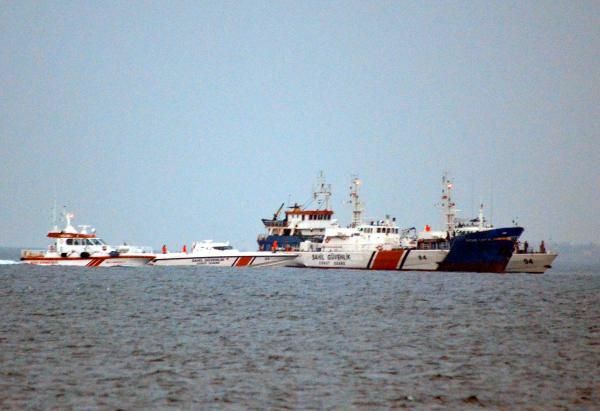 But the photo below shows at least two Type 80 class patrol boats with one 40 mm gun and two 12,7 mm machine guns. 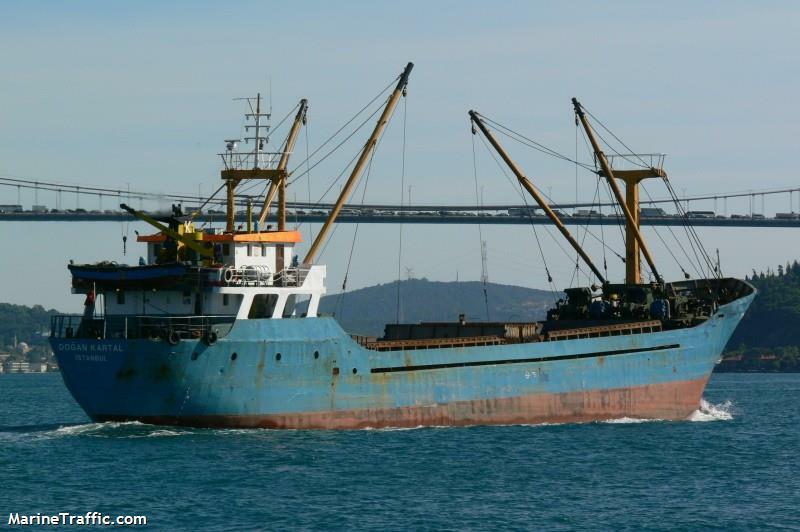 So it may be assumed that M/V Doğan Kartal was hit by a 40 mm projectile. M/V Doğan Kartal surrounded by Turkish Coast Guard vessels. Photo: DHA.